From glamping in Maine to a Boston stay-cation, here are the best boutique hotel experiences in New England to have this summer. AWOL is the latest boutique hotel in New England from Lark Hotels. Located in gay-friendly and always-lively Provincetown, this renovated inn (formerly Inn at the Moors) is in the perfect spot in town. The West End is a quick walk to downtown excitement but you’ll find seclusion overlooking the town’s moors. With typical stylish Lark designs and amenities, AWOL is the ideal home base for a trip with friends, family, or your partner. Slated to open at the end of June, you can find deals on grand opening bookings. Don’t Miss: The outdoor area with a pool, bar, and lounge area. While Gurney’s has reached resort-status, it still maintains the values of a boutique hotel and its roots as a 1920s inn in Montauk. Gurney’s Newport is the sister property of the Montauk location, and the new resort is located on Goat’s Island in Newport Harbor. The waterfront property is home to an outdoor saltwater pool, spa, event space, and of course, views of the town and water. You’ll enjoy the seclusion of the resort, but Newport’s shops, restaurants, and bars are just a water taxi ride away. Don’t Miss: The Seawater Spa is one of the best in New England. 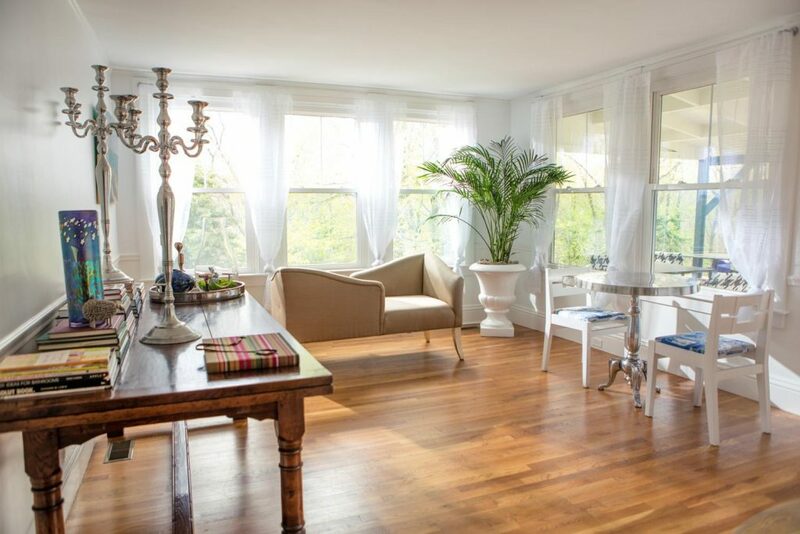 Escape to the sleepy side of the island to Vineyard Haven at the Nobnocket. Well-designed rooms and complimentary breakfast make it hard to leave; but if you do, take one of the free bikes along the bike path to Oak Bluffs or a nearby beach. Don’t Miss: The large sunroom area for lounging, reading, or enjoying a cup of coffee. 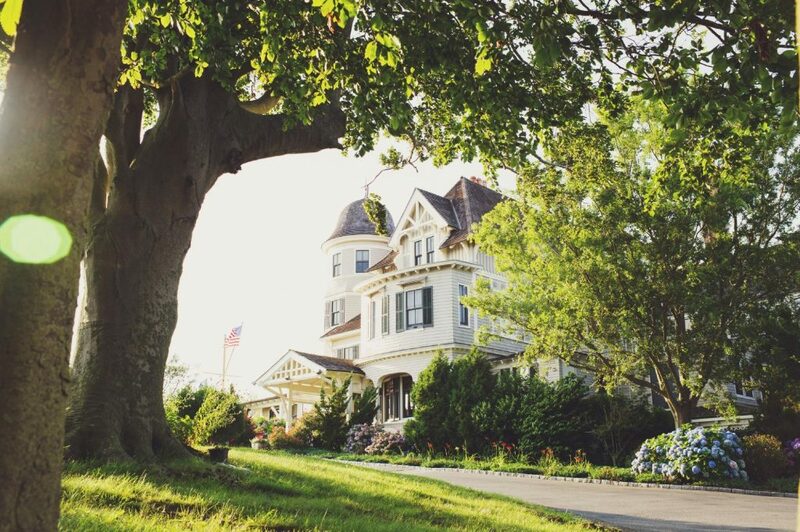 If you’re looking for a vacation fit for royalty, then the extravagant experience at Castle Hill Inn is the perfect boutique hotel in New England for your summer vacation. Castle Hill Inn offers Newport’s only private beach accommodations, which were luxurious enough for Grace Kelly during the summer of 1956. Don’t Miss: The famous onsite restaurant, The Lawn for the Sunday jazz brunch. For an alternative boutique hotel experience, check out Sandy Pines campground glamping rentals near Kennebunkport. Choose from a glamping tent, a-frame, or camp carriages to rent for a more comfortable, but still outdoor-immersed vacation. The camping site is home to a heated saltwater pool, five (brand new) bath houses, a general store, lawn games, kayak and paddleboard rentals—and is only one mile away from Goose Rocks Beach. Don’t Miss: Order a steamed Maine lobster dinner from the snack bar and enjoy a meal from a local lobster pound. 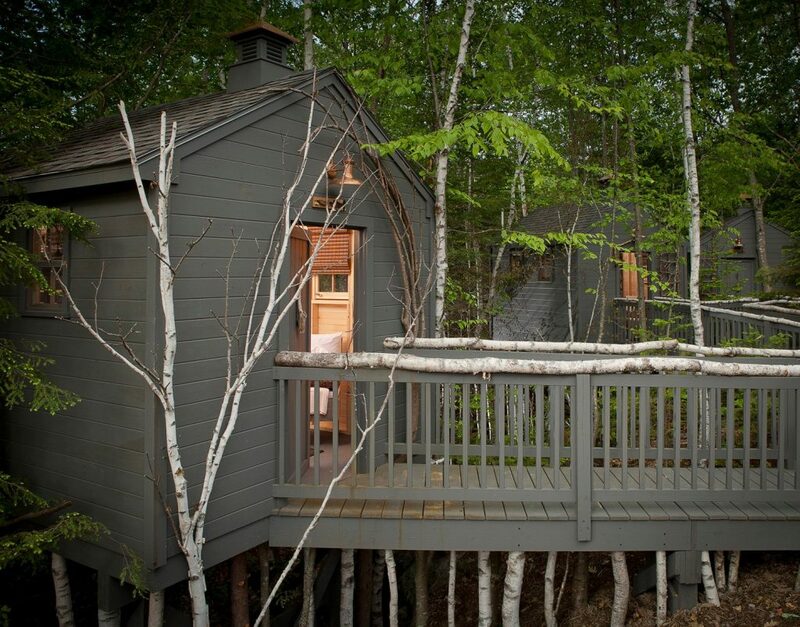 Transport yourself to a birch forest nestled in one of Maine’s charming towns. Onsite, you’ll find nature trails, a farm (that supplies ingredients for the resort’s restaurant, Earth), morning yoga, nightly bonfires, two pools, and beachside service at its sister property, The Tides Beach Club. It’s the perfect secluded getaway when you want it, but still close to town and a beach. Don’t Miss: The Tree Spa … featuring treetop spa rooms eight feet above ground and connected by a catwalk. 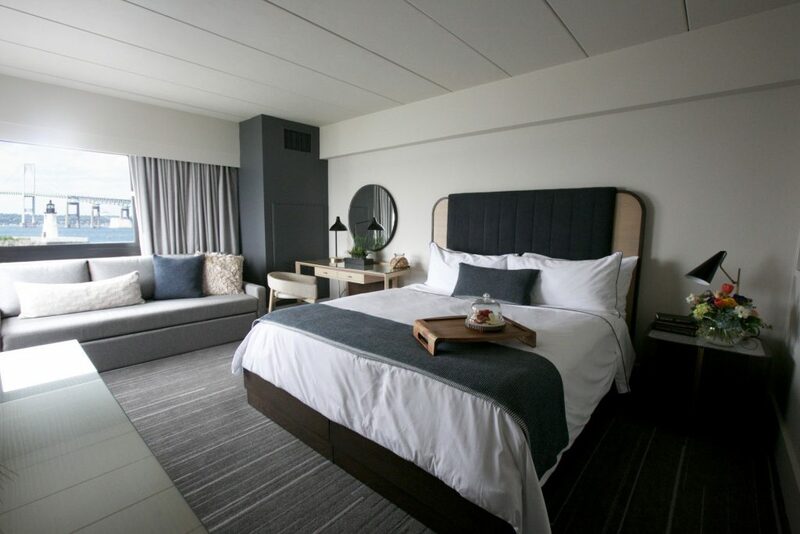 If you’re looking for an urban vacation this summer but still want the experience of a boutique hotel in New England, book a stay at one of the three Kimpton properties in the area. My favorite is the Nine Zero Hotel, located next to the Boston Common. You’ll get city views, free breakfast, in-room spa services, and typical Kimpton amenities like complimentary wine hour, loaner bikes, and of course, pet-friendly rooms. Don’t Miss: The late-night hot spot, High Ball Lounge, that’s attached to the hotel. 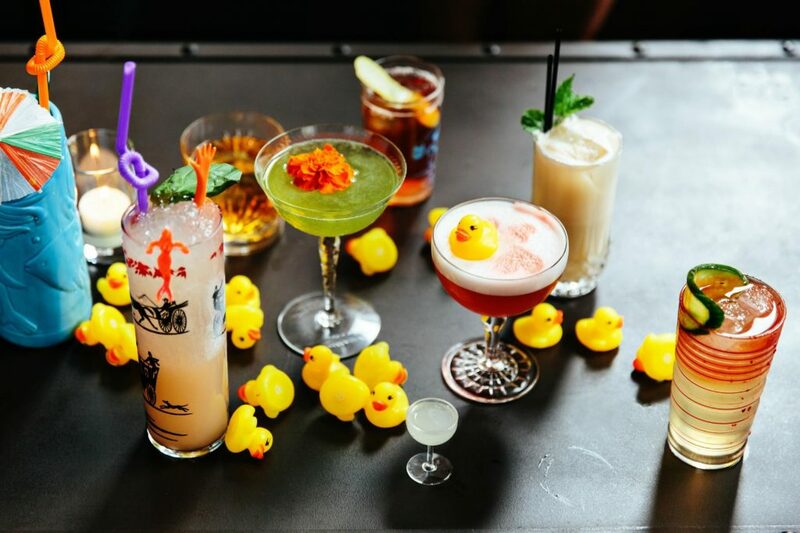 With nostalgic games and playful drinks, it’s the perfect complement to the Theatre District location. 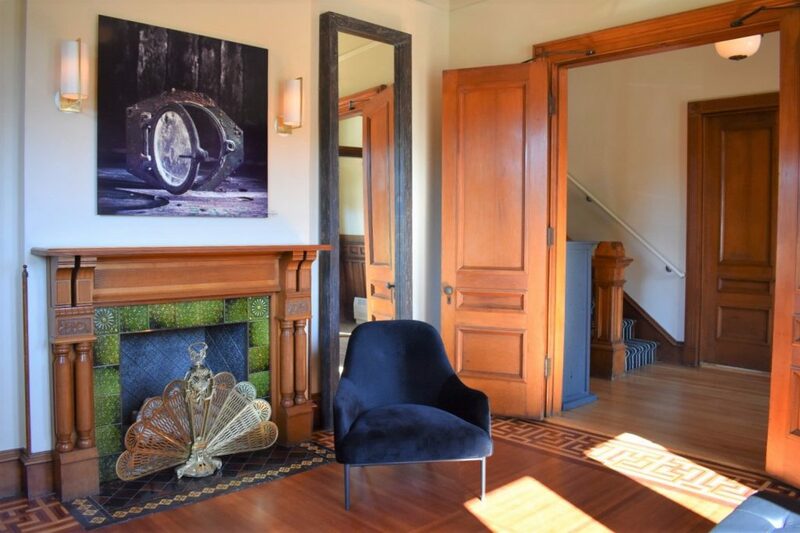 This 15-room boutique hotel in Portland is a historic home that embraces the city’s history and collaborates with the local community through art, craftwork, and even snacks from nearby businesses. The West End hotel is even on the National park Service’s Registry of Historic Places. Enjoy the spa, and the onsite restaurant and lounge featuring seasonal and locally sourced food. Don’t Miss: Cozy reading nooks scattered throughout the historic property. You can’t miss Nantucket and its famous hotel, the White Elephant, if you’re looking for a New England summer vacation. The main resort is located on Nantucket Harbor, but the property also has in-town lofts. There are no resort fees here—Wi-Fi, morning coffee and baked goods, afternoon port and cheese, beach and ferry shuttles, bottled water, and beach towels, chairs, and umbrellas are all free. It’s a great boutique experience for a family, group of friends, or couple (tip: book a garden cottage for a more romantic getaway). The property’s onsite restaurant, Brant Point Grill, is a popular spot for visitors and features a raw bar, Sunday brunch buffet, and al-fresco dining. Don’t Miss: Buck-A-Shuck on Friday afternoons. 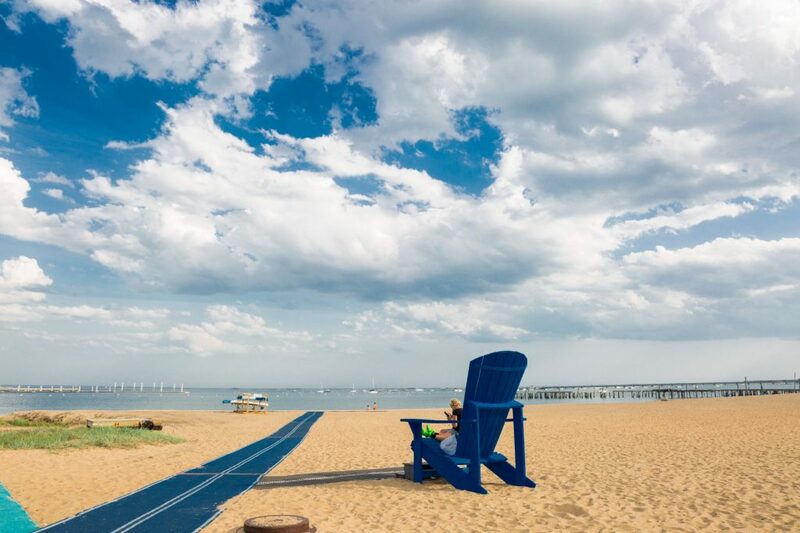 For a more laid-back (and no Cape-traffic) New England beach town vacation, head to Plum Island beach, located only 10 minutes away from downtown Newburyport and under an hour from Boston. 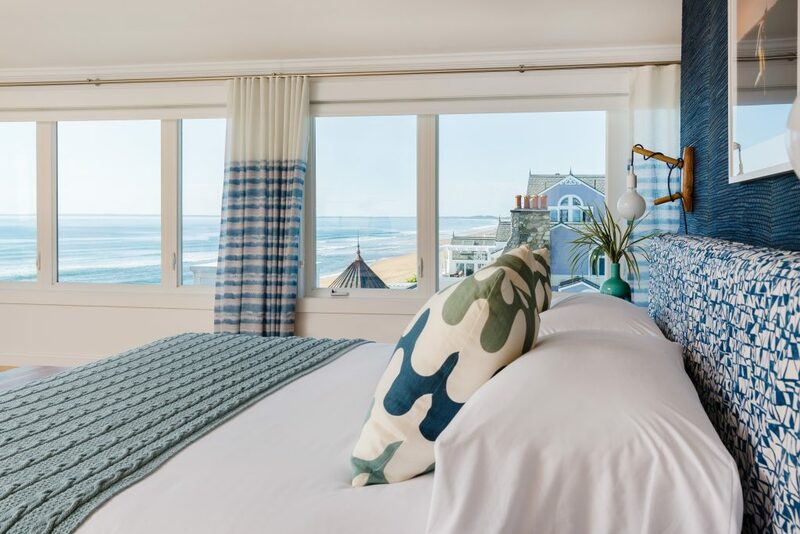 Blue is an oceanfront boutique hotel where you can chose a room, suite, or private cottage. Features like an outdoor lounge, hot tub, wet bars, and fireplaces make this the ideal beach hangout once the sun goes down. Don’t Miss: The beach, of course.